I’ve been working to get the perks made for Motoscribendi. I’ve done production binding for clients for years, but not often for my own projects. 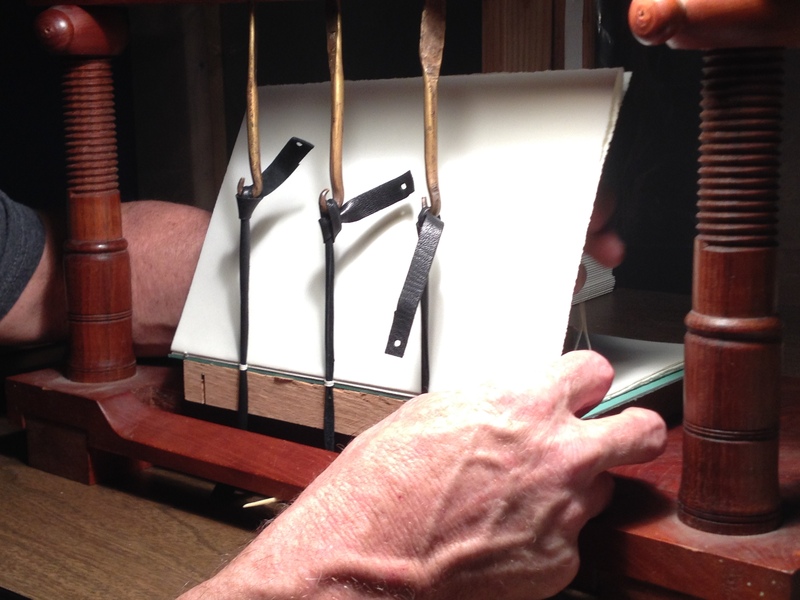 Here I am beginning to sew a 6″ x 9″ textblock, pack sewn on leather thongs. 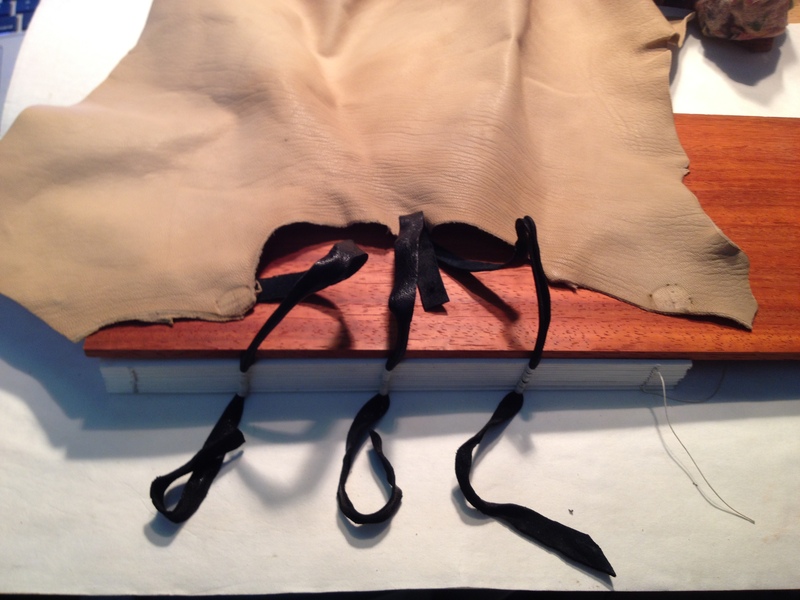 Image of NY sewing textblock for Motoscribendi perk. 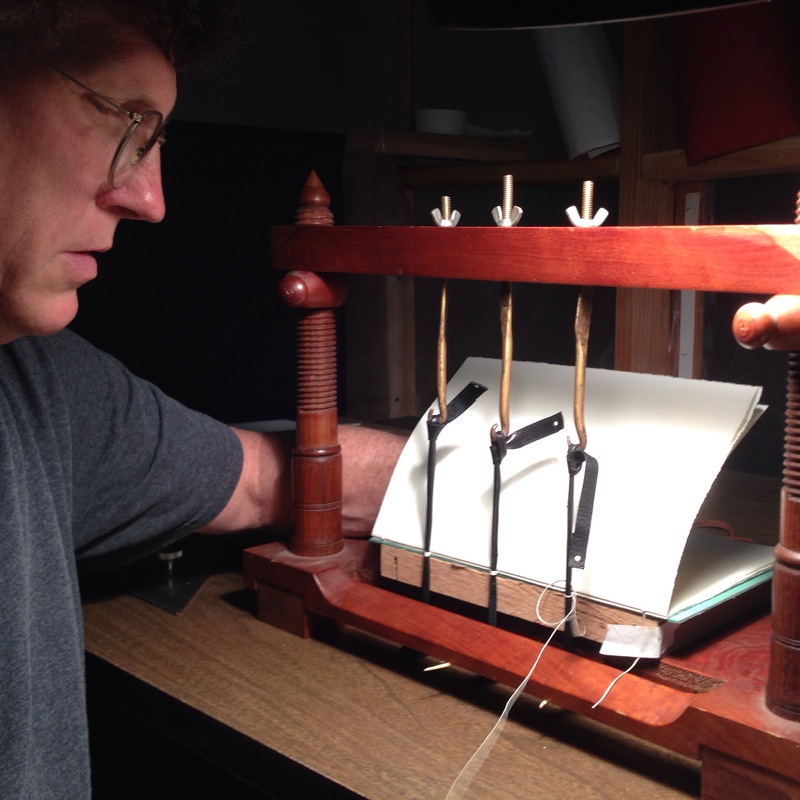 The sewing frame was made for me by Tom Conroy, a Berkeley bookbinder and binding historian. He used a foot-treadle lathe to turn the arms for making the screws. Tom doesn’t like power tools. 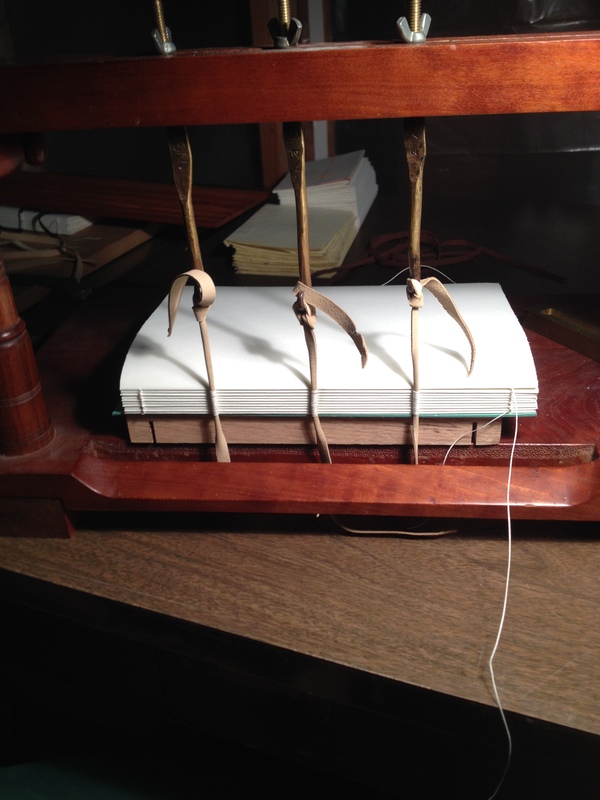 I’ve offered 5 books at 160 pages – but then I started sewing and they’ll end up being 192pages. Oh well, production values are variable when things are handmade. Pack sewn 6″ x 9″ text block. that goatskin & cherrywood is pretty hot stuff!